Does Sears Offer a Home Warranty? Should You Buy a Sears Appliance Extended Warranty? Warranties are similar to insurance in the fact that you pay in advance for the potential of future benefits. 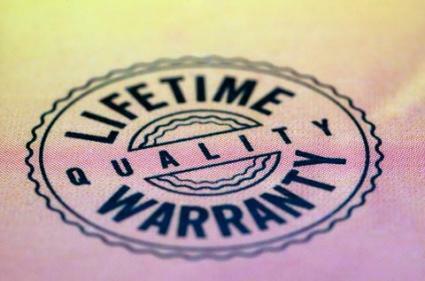 Warranties can be purchased or given by a seller to cover a single specific product, such as a car, appliance, or electronic, or they can be purchased to cover a group of products, such as with a home warranty. A warranty may state that the item purchased is in good working condition or if in the future the item no longer operates properly, you as the owner can get it repaired or replaced for free, for a reduced price, or for the cost of a predetermined deductible. A lot of debate has gone on regarding whether it is worth a consumer's time and money to purchase warranties. In most cases, the answer really depends on the terms of the contract. This is why it is important to carefully read the fine print and determine if the coverage meets your individual needs at a cost that is reasonable. Remember that most new products are unlikely to need major repairs shortly after purchase, so if the warranty coverage is short term or expensive relative to the replacement cost of the product, it may not be in your best interest to purchase the coverage.